With its privileged location facing the Mediterranean and its past as a fishing neighborhood, it is not surprising that Barceloneta has become the place to go for visitors who arrive in the city for the first time and want to taste the delights of local cuisine. Thus, the autochthonous «bombas», the freshest seafood and the well-known ‘patatas bravas’ fill bars and tables in this corner of Barcelona. So that you don’t get lost in a sea of menu blackboards and offers, we have prepared a list of the best tapas bars in Barceloneta, and thus ensure you are tasting the best possible products. 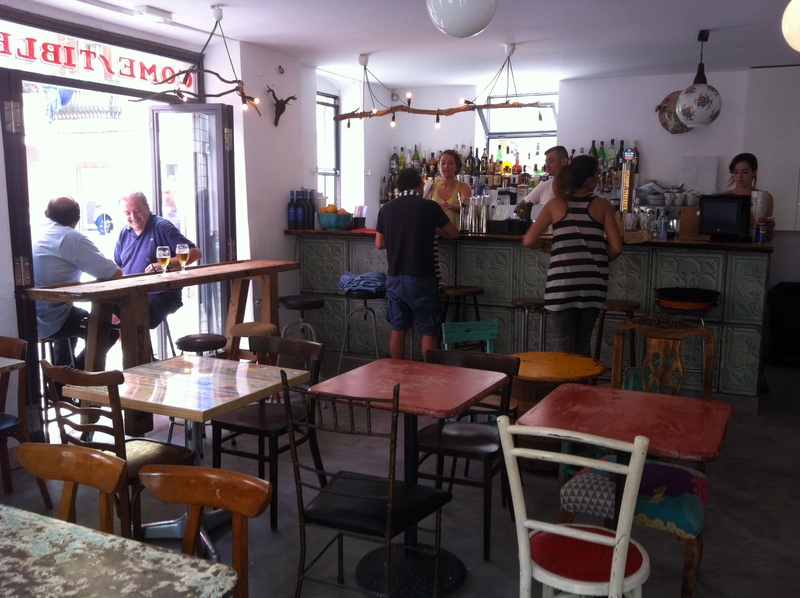 They have been open for many years and their usual clientele endorses them, so it is not surprising to learn they are considered the best in Barceloneta. 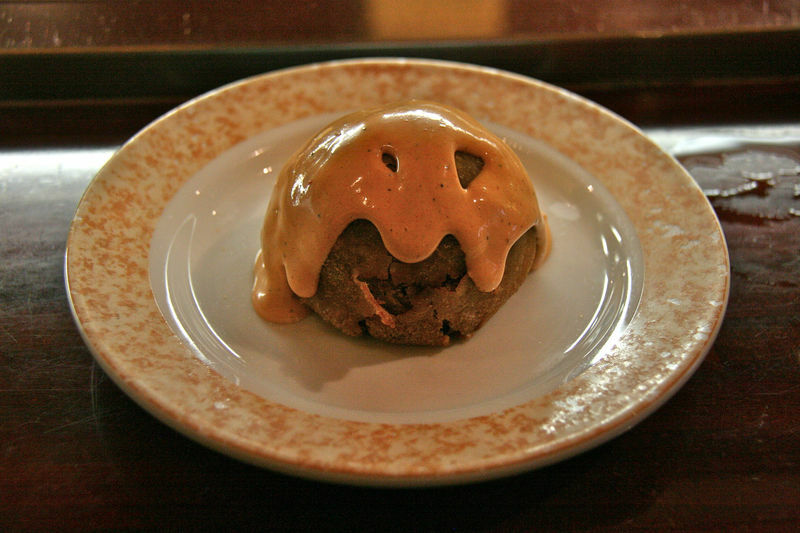 In fact, there is more than one that is on the list of the best tapas bars in Barcelona. Without further ado, we will tell you more about these three neighborhood classics. If there is a bar that appears in absolutely all the guides and lists, this is it. La Cova Fumada is a bar that has retained its authentic essence. In front of the market, it serves four types of the famous «bombas», a fried ball filled with meat and potato (in fact, they say they were invented here). You can also try their delicious artichokes in sauce, octopus and cod fritters. In short, this bar in Barceloneta is where you can get a better idea of how taverns used to be in the area before the arrival of tourists. Want some advice? Arrive early and ask for a table, since there is usually a waiting list, almost every day. Where is it located? In carrer Baluard, 56. Another bar with more than 50 years of history that is also a classic among locals and tourists alike. Its long bar is decorated with hundreds of ingredients that can quickly become your favorite dish. In this place, we recommend «ensaladilla rusa» (potato and vegetable salad covered in mayonnaise), some ‘pimientos del padrón’ and the «chocos». 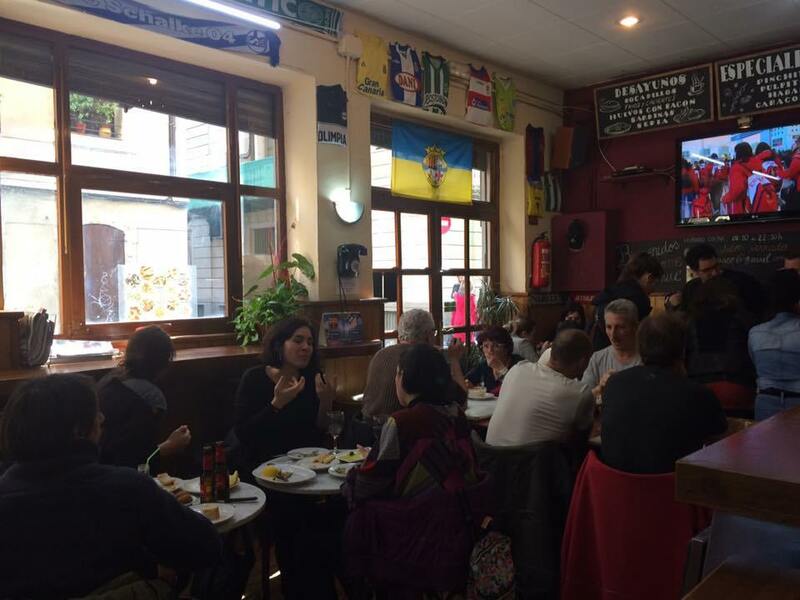 Of course, do not forget to ask for the tapas you want accompanied with a beer, as this bar has a legendary fame as far as ‘cañas’ are concerned. You will find it in number 6, carrer de Balboa. Don’t feel like cooking in your beach apartment in Barcelona? An ideal place to taste the star tapa of Barceloneta is this classic tavern that has never had the pretensions of winning an interior design contest. Here, you should try the squid, the Galician octopus and, if you are a fan of spicy food, the mussels. The charm of the venue is its noisy atmosphere, so, if you are looking for a romantic evening with your partner to chat quietly, this may not be the best option. 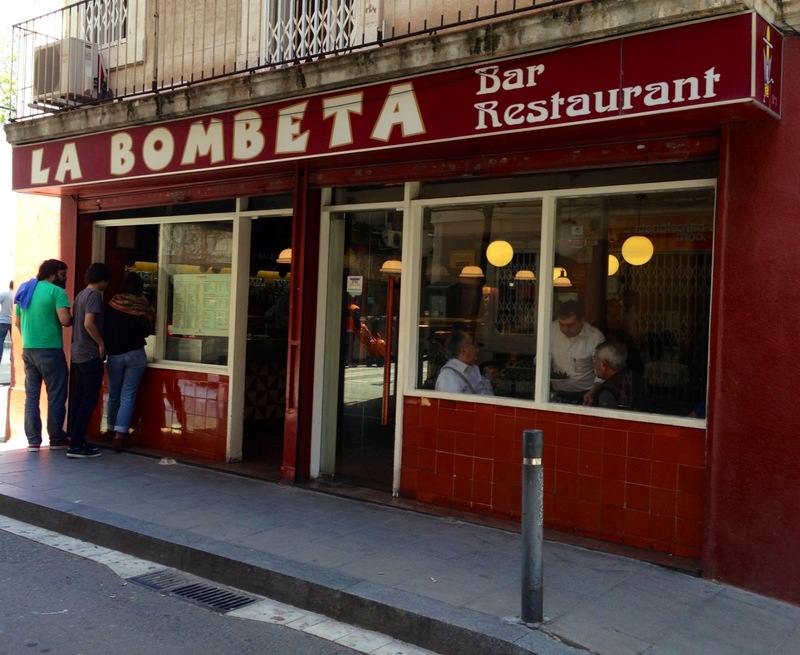 La Bombeta is located in carrer de la Maquinista, 3. If you’re looking for the authentic tapa-bar experience, here are the best tapas bars in Barceloneta that follow the authentic tradition. As the name suggests, this winery is one of the most traditional in the neighborhood. Presenting a menu with local products, La Peninsular has managed to captivate locals with its folkloric décor and tasty tapas. Among them, we find sea shells, the paella ration and the «esqueixada». Pay them a visit at number 29, carrer del Mar. This small and cozy place run by a Sardinian, as the name suggests, offers tapas with excellent presentation and fresh market produce that make it one of the best tapas bars in Barceloneta. In addition, it has not yet acquired the popularity it could have, so hurry up before it becomes mainstream. Although the tapas have a touch of the Italian island, you will find their own reviews of the most popular tapas. 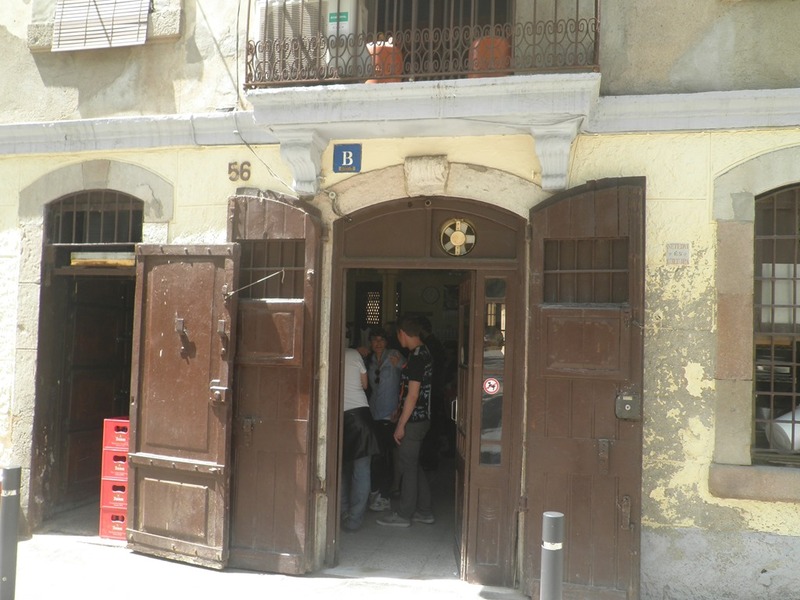 Its address is carrer de Pepe Rubianes, 25. Small neighborhood bar, with football team memorabilia hanging on the wall included. Also, if you are looking for a bar that serves a tapa with each beer, this is your place. Amongst its star dishes, anchovies in vinegar, cuttlefish or mussels. If you prefer to sit down to eat instead of snacking on tapas, we recommend that you call before and book some of the most popular options such as paella or «arroz caldoso». If what you are expecting from the best tapas bars in Barceloneta is a gourmet experience, here are three options that combine the most traditional recipes with a touch of modern cuisine that will satisfy the most demanding palates. In this restaurant hosted by chef Carles Abellán you can choose a selection of tapas (as well as a la carte food), which include croquettes or his famous truffle bikini sandwich. This is also one of the best restaurants with sea views in Barcelona, so take advantage of its location in plaça de la Rosa dels Vents. Defenders of the concept of slow food, Rebelot is a tapas bar in Barceloneta that offers dishes made with local products. From their menu, we’d like to highlight the mixture between typical products, but with curious combinations like their ‘huevos rotos’, the octopus with hummus and the «butifarra» (cured meat) with squid. You will find it on carrer del Baluard, 58. With more standard products and dishes, this bar close to the beach is the ideal place to have a tapa and a cocktail in a modern and young environment. Among the recommendations, the «pimientos del padrón», the cheese board, squid and patatas bravas. Drink something on their terrace while listening to the best music by the DJ who plays there several times a week. Now that you have a complete list of the best tapas bars in Barceloneta, how about visiting them to let us know which you liked the most? Comment below with your favorite dish or the place that you found most authentic of all. We are waiting for your reply!